Remodeling a home, even in minor ways, can increase a family’s comfort and enjoyment. But whether or not they’re planning to sell, many homeowners considering an upgrade wonder how much the planned project will increase the value of their home. Surprisingly, design experts say, sometimes not as much as the remodel might cost. Certain home improvements always net more bang for your buck than others—and they’re not always the most expensive projects. 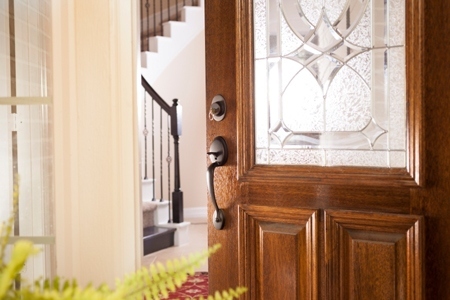 For example, according to Remodeling Magazine’s annual Cost vs. Value Report last year, a new front door adds an average 96.6 percent of the amount you spent on the door to the actual value of your home—and sometimes, simply painting your existing door can bring almost as much value. Similarly, replacing windows and/or siding with attractive energy-efficient materials is often worth more in terms of increasing a home’s value than larger projects such as a room addition. Also leading the list in terms of cost vs. value are kitchen and bath renovations. The report found that kitchen projects yielded a higher return than bath projects, and that even a minor kitchen remodel can add 82.7 percent of the project’s cost to the home’s value. That’s because, remodelers note, smart shoppers can do a kitchen remodel for less money than many people assume it might cost. The average cost of a minor kitchen remodel—new cabinet doors, appliances, countertops, sink, faucet, paint and hardware—is under $20,000 nationwide, about half what surveyed consumers guessed. A rule of thumb for maximizing value, the experts added, is to spend about 25 percent of the home’s value on a kitchen remodel, and 12 to 15 percent on a bathroom upgrade—and realize that where your home is located can make a difference. An added swimming pool, for example, will likely add more value in Los Angeles than in Chicago. Hope you enjoyed this information! Contact us for more tips and tricks.